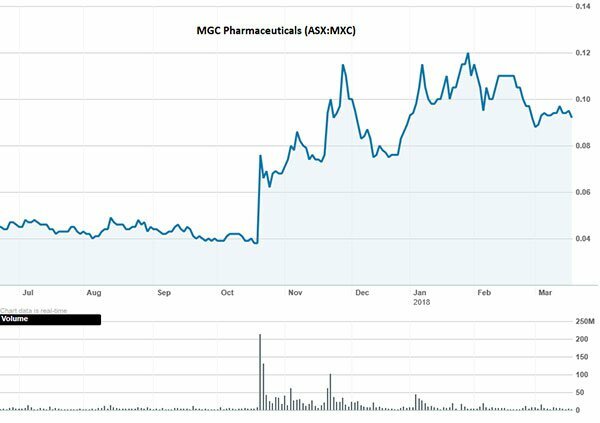 Fast-moving medicinal cannabis innovator MGC Pharmaceuticals (ASX:MXC) smashed a circle of milestones in 2017, and is steadily coming into its own as it emerges as an industry leader. Last year, MXC penned a cluster of strategic deals across its three key business divisions — MGC Pharma, Derma and Botanicals — and began generating revenues. Continuing this momentum, MXC has wasted no time ramping up its game into 2018. This week, MXC was awarded a contract by the government of Malta to construct a 4,000 sq. metre state-of-the-art medical cannabis production and cultivation facility – making it one of only five companies, and the only company from Australia, to be awarded a full medical cannabis production and cultivation contract. MXC has successfully raised $5 million to establish the facility. The Malta licence is an important milestone as MXC will be permitted to produce all THC and CBD strains of medical cannabis, enhancing its ability to develop additional medical cannabis pharmaceutical products into key European and global markets. That market alone is worth over €50 billion (A$80B). This follows big news just last month, when the company launched MGC Nutraceuticals, a new line of CBD and hemp-enhanced vegan products targeting the high-end dietary supplement market. This premium product offering is based on high-grade phytocannabinoids, proteins and vitamins. It also meets the EU’s exacting standards, with health claims complying with EU legislation. Given that the global nutraceutical market was valued at some US$383 billion in 2016 and is expected to grow to around US$561 billion over the next four years, this launch is a strategic move indeed from this nimble ASX pot-stock. On the MGC Pharma front, the company has taken a major step towards full manufacturing certification, clinching an initial Good Manufacturing Practice (GMP) licence for its European laboratory and compounding facility. This cleared a direct path for the production of the first batch of MXC’s adult medical cannabis epilepsy product, CannEpilTM, which happened in late March. Analysis of this batch will commence shortly and will be the final step in the process before full certification is granted. This will make MXC one of the most advanced in Europe for pharmaceutical-grade medical cannabis production. If all goes well, MXC expects its European facility to be granted full GMP certification not long thereafter... which could pique shareholder antennae in a serious way. The CannEpilTM product targets drug-resistant adult epilepsy, which accounts for around 30% of the 25,000 cases that are diagnosed in Australia each year. Importantly, this will mark the launch of MXC’s first pharmaceutical-grade medical cannabis product in Australia, and is set to generate considerable revenues. Around $1 million per year is expected from its first full year of distribution with specialist Australian pharmaceutical distributor, HL Pharma. On top of that, MGC Pharma’s $8 million agreement with Korean cosmetics manufacturer, Varm Cosmo, is moving along well. Varm Cosmo will be launching its premium range of CavaLabs Derma products in the coming months, which will make use of pure CBD supplied by MGC Pharma. 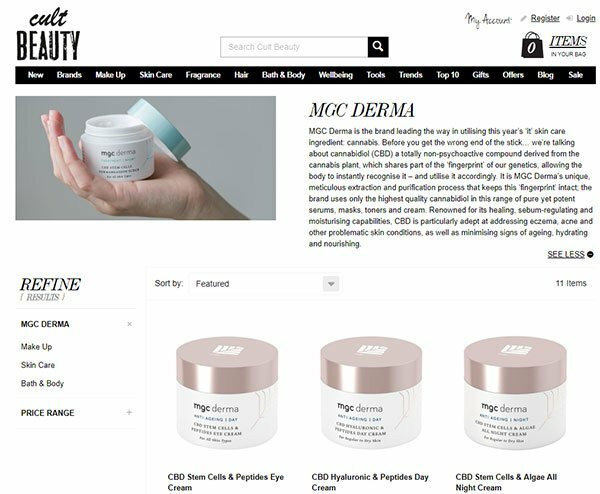 As for MGC Derma, last month, 15 MGC Derma and Derma Plus cosmetics and skincare products were officially launched on renowned online cosmetics store, Cult Beauty. This follows MGC Derma’s strategic six-month distribution deal with Cult Beauty back in January. MXC is already seeing a material increase in month-on-month sales revenues following the launch. MXC’s Derma division has also officially launched the first product in its new Derma Plus range, the CBD-based Herbal Repair Cream, for relief of psoriasis. Another two products are on track for launch in the first quarter of the year. With this veritable laundry list of accomplishments, the ASX small-cap has been on a considerable high, and that’s really only just a taste of what’s been on its radar. 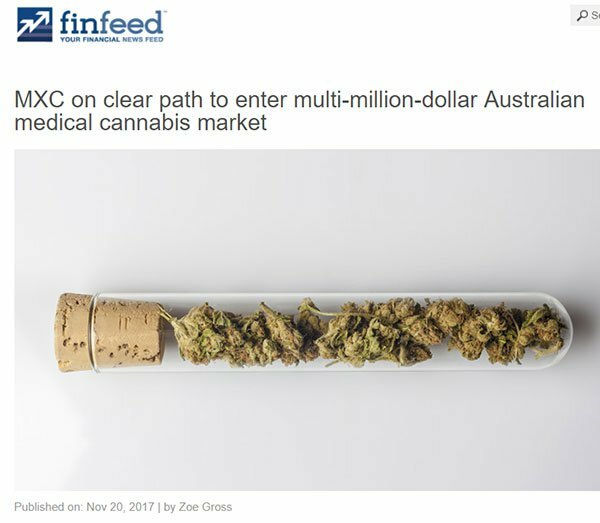 MXC also stands to benefit from a recent significant legislative shift: the Australian Federal Government giving the green light for medical cannabis exports. This move positions Australia to emerge as a leading global supplier of medical marijuana in a bid to score a piece of the US$55 billion global market. These changes also mean serious business for MXC, which could stand to claim a sizeable slice of this multi-billion-dollar pot pie. With a clear legislative and regulatory framework in place, MXC can now fast-track its long-held plans to develop a pharmaceutical-grade medical cannabis cultivation and manufacturing strategy in Australia to complement its existing operations in Europe. All in all, the year has been off to a buzzing start for this $95 million-capped bright biotech spark, with $8 million cash in the bank to help it along in the lead-up to its first production of CannEpil... and things are only going to continue heating up from here. We last checked in with MGC Pharmaceuticals (ASX:MXC) in November with the article, Budding ASX Junior Pens Transformative Medical Cannabis Deals: Now Generating Revenue. In that piece, we took an in-depth look at the three core divisions of MXC’s business, as well as the game-changing, revenue-generating deals that it had clinched across these facets. We also looked at CannEpil product, and at the considerable market it pertains to. We’re not going to rehash all of that information here, but something worth bearing in mind is the sheer diversity of these business divisions. Part of what makes this ASX pot-stock unique is that it has research initiatives into both medicinal and cosmetic applications for marijuana, and this gives MXC a distinctive point of difference when compared to its peers. This year, in turn, is set to be pivotal for MXC’s growth as it cinches a series of major landmarks. There is big news and then there is news that provides pivotal moments for a company. MXC’s Malta move could be a game-changer after it was awarded with 4,000 sq. metre of land to construct a state-of-the-art medical cannabis production and cultivation facility. Having raised $5 million (before costs) via a share placement of 7 cents per share, MXC is now well positioned to establish the production facility in accordance with the new contract. MXC emerged successful after a competitive tender as one of five entities and the only Australian company approved to build and operate a fully-licenced medical cannabis facility in Malta. The licence enables MXC to produce all THC and CBD strains of medical cannabis, which could provide significant positive advantages for its overall global ambitions as it looks to become a fully vertically integrated medical cannabis seed to sale operation in the EU. The medical cannabis from this operation will be used in the production of MXC’s GMP-grade pharmaceutical products at a commercial scale, and enable the supply of medical cannabis flowers to emerging European markets. Malta is in the throes of the final stages of legislative change with regard to medical cannabis laws. MXC will be required to comply with its licences and permits to operate the facility including employing 25 Maltese people as part of the local workforce. 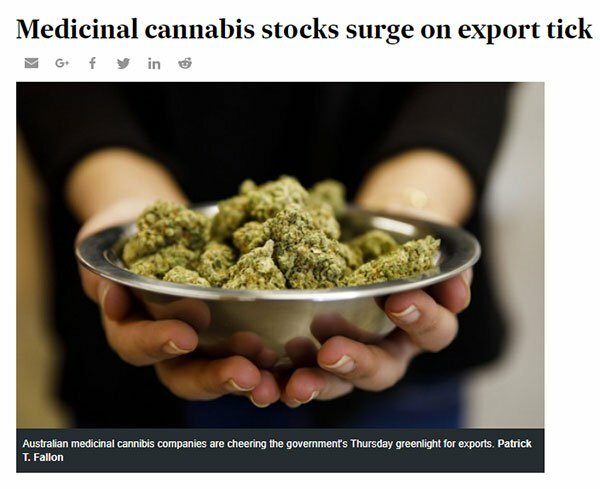 This should be no issue as MXC looks forward to producing THC and CBD strains in the EU, where the estimated yearly value of the medical cannabis market is €56.2 billion. The Malta licence could be the play that sends MXC into the next realm of medical cannabis supply and fully complements its operations in other areas including its production facility in Slovenia and its move into nutraceuticals. 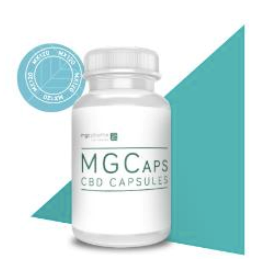 MXC recently launched MGC Nutraceuticals, a new premium product line of CBD and hemp-enhanced nutraceutical products for retail customers. This new range immediately expands MXC’s consumer product offering into the global US$561 billion dietary supplement market with seven new high-end natural vegan products. Based on high-grade phytocannabinoids, proteins and vitamins, all of these products have been formulated for daily use, and to promote normal immune system function, improve stress protection, and maintain muscle and bone structure. MXC has launched a new e-commerce platform for the range, as well as a full product catalogue. Meaning that this innovative company has been able to develop an entirely new range of products for an entirely new market, with minimal additional investment. One of the biggest milestones on MXC’s path this year will be full GMP certification for its recently completed world-class Slovenian medicinal cannabis production facility. And with its receipt of interim certification in January, it’s almost there. Importantly, final GMP approval is also one of the final regulatory hurdles for MXC in its journey to commercially produce CannEpil. Once GMP certification is granted for the laboratory and compounding facility, it will be one of the most advanced in Europe for pharmaceutical-grade medical cannabis production. MGC Pharma will then focus on certification for its European extraction facility, marking the final step in the 18-month-long approvals process. A major benefit here is once both certifications are received, the company will have a fully integrated GMP facility for the future extraction, compounding and production of new pharmaceutical grade cannabis-based medicines... from CannEpil and beyond. In the meantime, interim certification paved the way for MXC to begin production of its first batch of CannEpil, which it has just delivered. The product will now undergo validation of manufacturing and rigorous analysis before being approved for wider production. 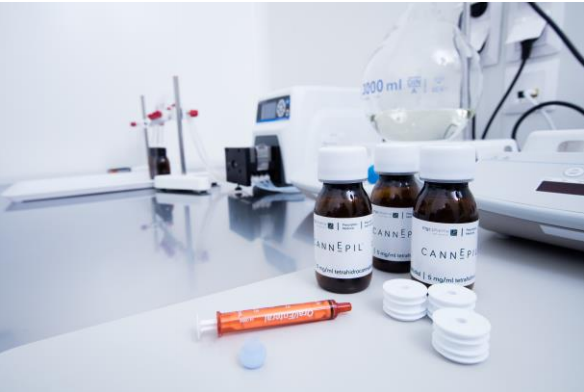 A product that’s been years in the making, CannEpil is MXC’s first medicinal cannabis offering, which has already been approved for use in Australia. The product targets drug-resistant forms of epilepsy (also known as refractory epilepsy), which accounts for around 30% of all epilepsy cases — meaning some 70,000 potential patients in Australia alone. According to GlobalData, cases of refractory epilepsy are also set to rise by more than 100,000 by 2026. Given that CBD has recently been proven to reduce the severity of seizures, moreover, the timing of CannEpil’s entry into the market is especially salient. 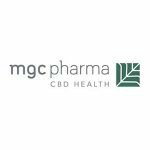 Late last year, MGC Pharma penned an exclusive supply agreement with HL Pharma, to bring this medicinal cannabis product to the Australian market. Under the agreement, HL Pharma is responsible for ensuring Therapeutic Goods Administration (TGA) and Office of Drug Control approval to import and supply the products in Australia. In turn, once it’s received all the necessary regulatory approvals, supplying CannEpil to the Australian market is set to generate significant revenues for MXC, expected to be around $1 million per year from its first full year of distribution. Notably, this is from less than 100 patients already registered through its relationship with Epilepsy Action Australia (EAA). Full GMP certification for MGC Pharma’s extraction facility remains on schedule, with all equipment and systems now fully installed. The finished product will put this ASX small-cap in an advantageous position to tap key markets in Europe, North America and Australasia, where such sales and distribution are permitted and legal... which means its small-cap days could very well be numbered. Back in January, MGC Derma penned a strategic distribution agreement with renowned online cosmetics store, Cult Beauty. Available to consumers worldwide, this deal sees 15 of MGC Derma’s cannabidiol cosmetic products sold on the Cult Beauty site, as well as its Derma Plus skincare range. The Cult Beauty launch is supported by an exclusive six-month marketing campaign, which is already driving a direct increase in MGC Derma sales. Cult Beauty, meanwhile, is a UK-based online beauty store that specialises in selling cutting-edge and hard-to-find beauty products to global consumers. Cultbeauty.com is a meticulously curated experience that distils the global beauty industry down to its brightest: from the latest scientific discoveries to hundred-year-old remedies. Cult Beauty carefully selects each and every product marketed through its platform, so this elite seal of approval makes for a clear endorsement of MGC Derma’s products. This deal with a world-renowned beauty products e-tailer, moreover, provides MGC Derma with a new platform for marketing its ever-expanding range of CBD-based skincare products, and to a new, more diverse global cosmetics market. Also working nicely to MXC’s advantage is that that this deal (as well as the Varm Cosmo deal) is tapping another major global market: specifically, the cosmetics market, which was worth US$460 billion (~A$597B) in 2014, and is expected to surge to US$675 billion (~A$875B) by 2020. As we mentioned earlier, Australia’s budding medicinal cannabis corridor has been given a major leg up by way of a milestone legislative change: the Australian Federal Government’s legalisation of medicinal marijuana exports in a bid to score a chunk of the US$55 billion global market. 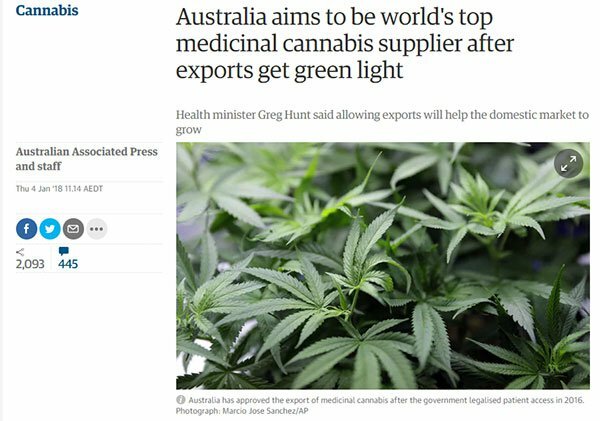 This will make Australia just the fourth country in the world to legalise medicinal marijuana exports — a development supportive of ASX pot-stocks, including MXC. All of this also attracted ample media coverage, as Australia’s pot producers welcomed the good news. This move follows on from the government’s decision to open Australian borders to controlled imports of approved medical cannabis products last year. This enabled MXC to move towards making products available to Australian patients ahead of the establishing its Australian manufacturing operations. 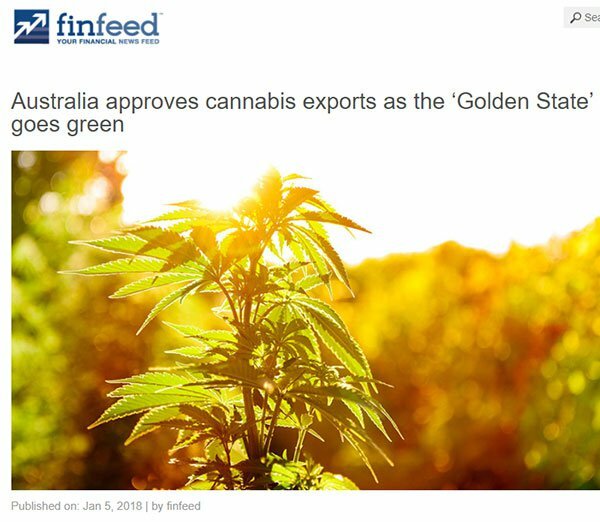 These new export laws mean that Australia’s domestic medical cannabis producers will now be able to expand internationally to booming markets in Canada, Europe and the US. To get an idea of what this could mean, the global medical cannabis market is expected to reach almost US$60 billion by 2025, according to Grand View Research. However, how much of the market MXC is able to corner is speculative at this stage and therefore investors shouldn’t act on this fact alone, but should take all publicly available information into account and seek professional financial advice. So, what exactly does all of this mean for MXC? Firstly, in addition to supplying its Australian pharmaceutical pipeline, MXC will now also be able to expand sales of Australian manufactured medical cannabis products like CannEpil into major global markets. In a longer term capacity, MXC can now intensify its focus and pick up the pace in developing a pharmaceutical-grade medicinal cannabis cultivation and manufacturing operation in Australia, alongside its established operations in Europe. Cultivating an Australian operational base has always been part of MXC’s longer-term plans, but federal legislative changes hadn’t made it commercially viable... until now. MXC is now hoping to be able to supply CannEpil (and other products to come) directly to the Australian market from a future Australian-based operation. This, in turn, would provide significant cost and logistics benefits to export into key Asia Pacific markets over MXC’s European operations. As you may have gathered, MXC is a company that likes to keep itself very busy, and what we’ve been looking at here is really only a sampling of what it’s been up to. MXC has been making steady progress on three key project initiatives over the past six months in its collaboration with RMIT, including the strategic Library of Cannabinoids. Partnership discussions have also begun between MXC, RMIT and leading Israeli research universities to deliver new medical cannabis technologies to critical markets. Extraction of cannabinoids from last year’s Czech botanical production is set to be done and dusted in Prague this month — these will be used to manufacture new products. MXC has applied for a medicinal cannabis research cultivation licence to the Australia’s Office of Drug Control (ODC). The company’s research collaboration with the University of Ljubljana is progressing, with the experimental crop using MXC genetics now entering the middle of its flowering stage. Potential strategic investment and JV opportunities are in the works with established licensed producers in Australia and North America. In short, that's a full dance-card for one ASX small-cap, with a lot to keep it busy over the coming weeks and months. 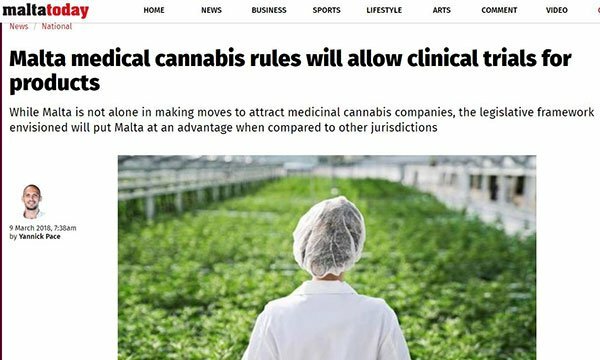 The phrase "game-changing" is a cliché, but it is certainly apt with regard to MXC's Malta licence and could really swing the door wide open in the multi-billion dollar European medical cannabis market. Production of the first batch of CannEpil, full GMP certification, not to mention the launch of new Derma products, are not long away — all of which could be potential share price catalysts for MXC. These are still early days, and despite the strong year the stock has had, MXC is still capped at a modest $95 million. Yet it’s wasting no time in firmly establishing itself as a force to be reckoned with — and here at the Next Biotech, we can’t wait to see what the rapidly maturing MXC will do next.